Comedian and actor Gilbert Gottfried, a man Stephen King once called “a national treasure,” talks with the show business legends, icons and behind-the-scenes talents who shaped his childhood and influenced his comedy. 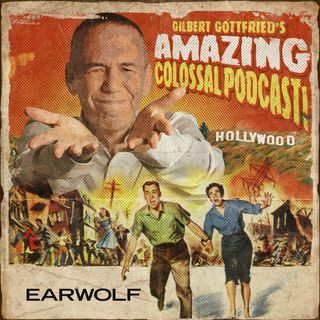 Gilbert Gottfried’s Amazing Colossal Podcast was named "Best Podcast of 2015" by the Village Voice and one of iTunes' "Best of 2014." It has been featured in Rolling Stone, Wired and the Los Angeles Times. Explícito 250. 250th Episode Call-in Show Spectacular!